Do you mind if I will request you to translate this manga here? Please translate this manga since someone drop this project for a long time & no any signs that they will do it again. This manga was drawn very well. I think mangaka can draw character's expression better than I expected. And the story of this manga is written in masterpiece. This manga followed Light novel's plot so I know the writer did his job properly. Right now @comic reached vol 7 only and the story is not interested. However, I am sure this manga will be one of top level and famous. 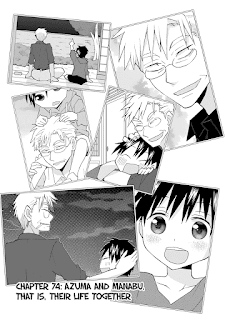 bezaldfamily.net (it's a webboard) > manga Y > Yahari Ore no Seishun Love Come wa Machigatteiru. @Comic will be there too (v1-3). I don't want to paste link here because this might make get trouble. I saw you translate manga for a long time and do job very well until now, so that's why I come to your blog and request this manga. Please consider this. If you accept this, I'm very appreciate.